Blancaflor premiered in October 2017 at GALA Hispanic Theatre in Washington, DC. This bilingual fairy tale follows a prince on a quest to the Land of No Return, where he is asked to complete impossible tasks and can only succeed with the help of the wizard Blancaflor. Based on a traditional Latin American folktale, this show is for ages 3 and up. Between Earth and Sky/Entre la tierra y el cielo was commissioned by GALA Hispanic Theatre and workshopped and presented as a rehearsed reading in April 2018 at the John F. Kennedy Center for the Performing Arts as part of New Visions/New Voices 2018. 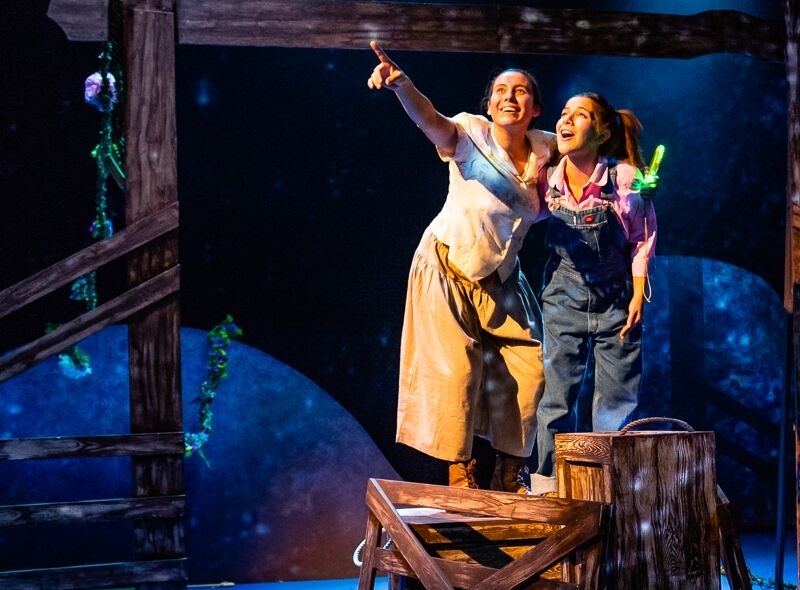 This play is for ages 7 and up and was inspired by the life of Mexican-American plant collector Ynes Mexia, who traveled through Latin America in the 1930’s. A story about science and following your dreams for an inter-generational audience. Photo by Stan Weinstein.